Make yourself at home in one of the 10 air-conditioned rooms featuring minibars and flat-screen televisions. Complimentary wireless Internet access keeps you connected, and satellite programming is available for your entertainment. Private bathrooms with showers feature complimentary toiletries and bidets. Conveniences include phones, as well as safes and desks. Be sure to enjoy recreational amenities including an outdoor pool and an outdoor tennis court. This Tuscan-style hotel also features complimentary wireless Internet access, concierge services, and babysitting/childcare (surcharge). Make yourself at home in one of the 31 air-conditioned rooms featuring minibars and DVD players. LCD televisions with satellite programming provide entertainment, while complimentary wireless Internet access keeps you connected. Private bathrooms with showers feature complimentary toiletries and bidets. Conveniences include safes and complimentary newspapers, and housekeeping is provided daily. Make yourself at home in one of the 26 air-conditioned rooms featuring flat-screen televisions. Complimentary wireless Internet access keeps you connected, and satellite programming is available for your entertainment. Private bathrooms with shower/tub combinations feature deep soaking bathtubs and rainfall showerheads. Conveniences include desks and complimentary newspapers, and housekeeping is provided daily. Rustic and full of charm, the 4-star Villa Il Mosaico is close to the historic centre of Florence, the train station, the city’s museums, and has shops, restaurants and bars on the doorstep. 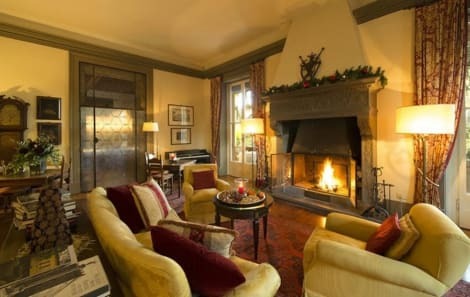 A TripAdvisor Certificate of Excellence winner, this 18th-century building mixes traditional stone walls and mosaic floors with modern touches. Kick back in the villa’s garden, courtyard or terrace, or relax in stylish apartments with private entrances, kitchens, air conditioning and free wi-fi. ***YOU WILL BE CONTACTED BY EMAIL FROM THE VILLA. THEY WILL GIVE YOU THE CODE TO MAKE THE SELF CHECK-IN. *** Please inform in advance Villa il Mosaico about your arrival time, adding this information in the Special Requests when you are booking, or you can contact the reception by reference informations reported on the booking confirmation. All requests for late check-in must be done before the arrival date, and they are subject to confirmation by the property. Check-in service after 24:00 is not available. *****Address to check-in and to take keys: Via di Monticelli 13, 50143 Firenze. An ultra-modern hotel in the middle of the historical San Frediano quarter, the 4-star UNAHOTELS Vittoria Firenze grips you with its artistic contemporary interiors and with its traditional Florentine hospitality. Rooms are brightly decorated and come with free wi-fi, LCD TVs and designer bathrooms. Tuscan specialties are served in the UNA restaurant and cocktails can be enjoyed in the café and lounge bar. Each booking comes with two complimentary bus tickets per person per day. 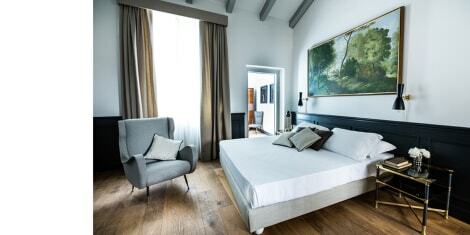 Centrally located in Florence, Soprarno Suites is a 5-minute walk from the Ponte Vecchio bridge. It offers free WiFi and elegant spacious rooms. Each air-conditioned room at the Soprarno will provide you with a TV, parquet or terracotta flooring and high ceilings. The private bathroom includes a hairdryer and free toiletries. The Pitti Palace is approx. 100 metres from the property, while Piazza della Signoria is reachable on foot in about 10 minutes. Guests planning to arrive after 6 PM must contact this property in advance to arrange check-in. You can use the Special Requests box when booking, or contact the property directly with the contact details provided in your confirmation.